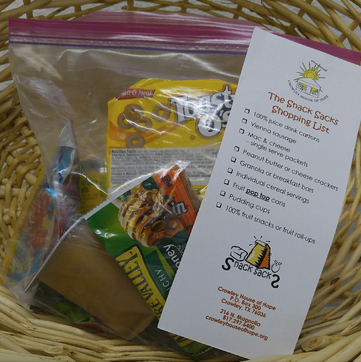 The Snack Sack program provides a bag full of nutritious snacks for children to take home for the weekend. Volunteers deliver over 400 Snack Sacks to Crowley ISD every week. The Snack Sacks are assembled by volunteers from local organizations and churches. The Snack Sack program has an annual cost of approximately $40,000. We rely on donations from individuals, churches and organizations to allow us to provide these snacks for children who would go without food over the weekend at home.